En: Climate change, deforestation, plastic pollution, and biodiversity loss are increasingly mentioned in the media, and their consequences have started to affect us directly. But what exactly are these environmental impacts and how do they relate to our consumer choices? In the first presentation The hidden impacts of our consumption, we will delve into the life of our products: Where do they come from? What are the industrial processes behind? What happens once they are disposed? Examples of environmental impacts during the various life steps of products will be given, as well as their effects on human health, ecosystems and the resources of our planet. The second presentation Climate change: what's my contribution? 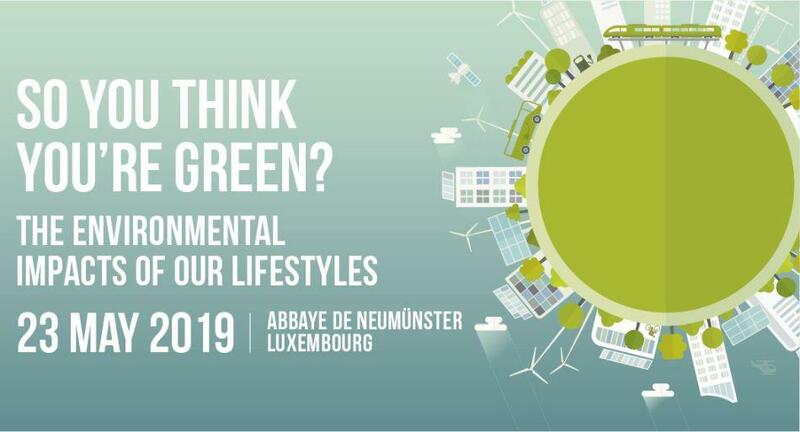 will look at the average carbon footprint of a Luxembourgish inhabitant. In light of the Paris Agreement targets, the effects of individual green actions (e.g. regarding food, mobility, housing) will be discussed to answer the question: is it all enough?